P.K. 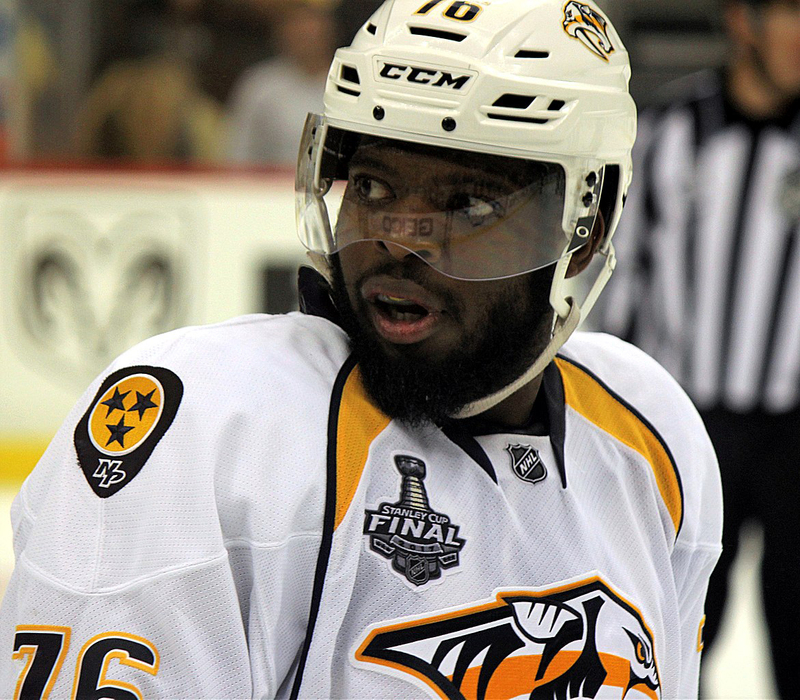 Subban, a NYHL alumni, is a Canadian defenceman playing for the Nashville Predators in the NHL. Subban was born and raised in Toronto, and spent his early playing years as a member of the NYHL. He played for the Amesbury Bert Robinson Hockey League and Etobicoke Bulldogs in 1993 and 1994. Read his Face to Face interview with NYHL below! Do you recall the moment you were introduced to hockey and what was that feeling like for you? Oh, wow. I mean, just excitement. I was really young. Just excitement to play. As a kid, you always want to do something, and hockey was the sport for me. When did you know you wanted to make a living being a professional hockey player? When I realized that I could. I don’t know when that was. When I realized I had an opportunity to do it, I wanted to make the best of it. What memories do you recall from playing in the North York Hockey League for the Amesbury Bert Robinson Hockey League and the Etobicoke Bulldogs in 1993 and 1994? The smell of popcorn. Every North York rink that you walk into always had a popcorn machine going that could smell up the whole rink. I miss that smell. Was there a piece of advice you received that really resonated with you and had a big impact on how you would live the rest of your life? Just have fun. Have fun and pay attention to detail. Who was your greatest influence growing up and what was it about this person that you idolized? My parents. My mom and dad, for sure. What do you see as the greatest value of sport in a child’s life? Comradery, working with others, and social skills. I think those are the biggest things you develop in sports. Your philanthropic work has always been very important to you. How can we encourage the next generation of youth to understand the importance of giving back and to make a difference in the community? At the end of the day, if it shows that you can be an athlete and use that platform as a position to want to help others and give back to others, then do it. Thanks to P.K. Subban for his time! We’ve had Face to Face chats with all sorts of pro hockey players! Read more interviews with the pros.